At times, we often find ourselves belabouring over how expensive our meals are in Singapore. This is partly due to the high price point already tagged to our meals, but the scary figure on the bill is only exacerbated by the addition of GST and service charge. Sure, we understand the necessity of including service charge into our bills and there does not go a day when we are not grateful for the high standards of service we receive during our meals. This goes without saying that when service is exemplary, paying that extra money for service charge is worthwhile. But there are those days when we long for just a cheap, affordable meal. And what if we told you that there are dining establishments in Singapore which offers you the same meals but without the addition of service charge? 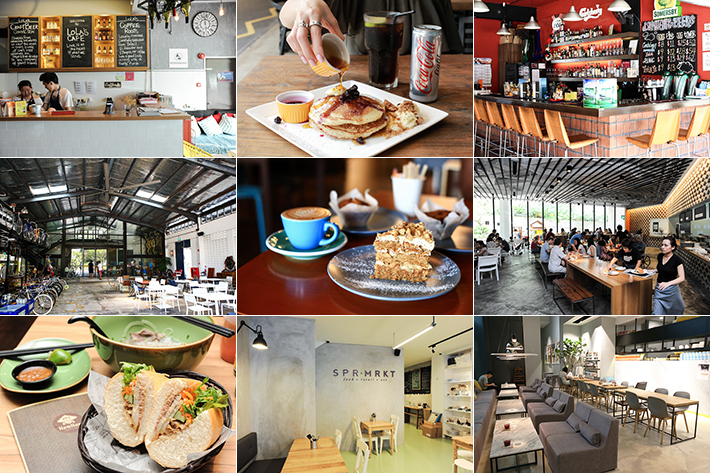 Here are 24 Places In Singapore With No Service Charge. Yes, that means money for more food! You are very welcome. A quiet and quaint cafe tucked away in a shophouse along Tanjong Pagar Road, Drury Lane is a speciality coffee shop which has a laid back and chill atmosphere that is so perfect for those lazy afternoons. Delicious baked goods, a good cup of coffee and no service charge? An afternoon at Drury Lane is definitely something to look forward to. Do also note that Drury Lane does not accept reservations and it is a walk-in only cafe. For hearty Thai, Western and North Indian cuisine at nett prices, Bar Bar Black Sheep will be your best bet. 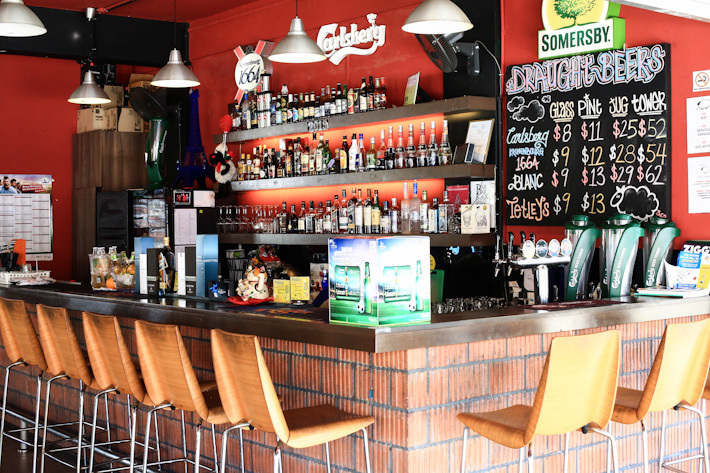 A bar in a casual yet relaxed coffee shop setting, this is where you should gather your friends or family for a good drink and comforting eats. Known for their juicy and succulent burgers, Fatboy’s The Burger Bar is no stranger to Singapore’s burger scene and they also have several outlets across the island. Some speciality burgers you can pick up include The Yolo (S$19.80) and Fat Basterd (S$19.80). 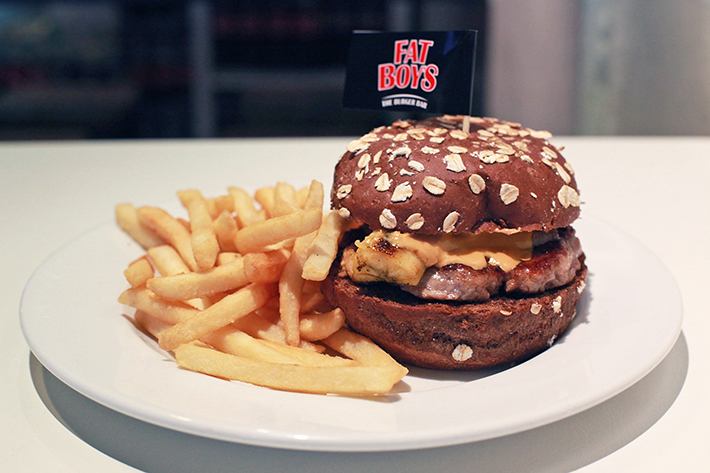 To top it off, there is no service charge for your food at Fatboy’s The Burger Bar. More money saved to feed our ever rumbling bellies? We’ll take it. 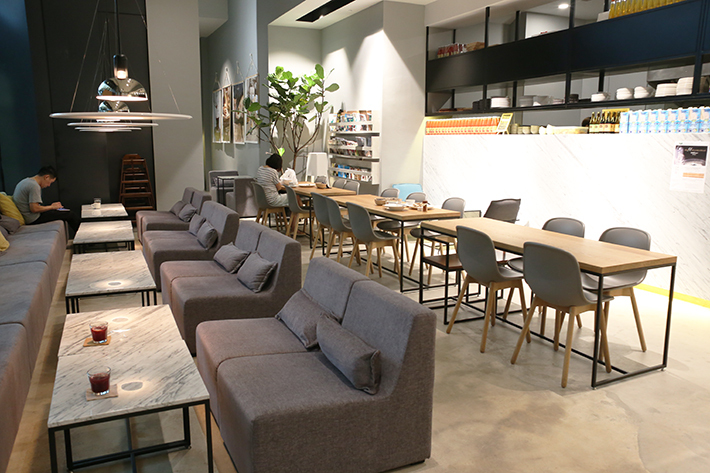 A family-run cafe situated nestled in the vibrant Tiong Bahru neighbourhood, Flock Cafe is an ideal place for some afternoon tea, away from the hustle and bustle of life. All coffee is also brewed from beans roasted over at Liberty Coffee. So use those extra savings from no service charge for an extra cup of coffee goodness! Based within the iconic Singapore Botanic Gardens, Food For Thought is a wonderful botanical-inspired restaurant with decent food at affordable prices with no service charge. This is a good place for brunch with the family and there is also a menu for toddlers. 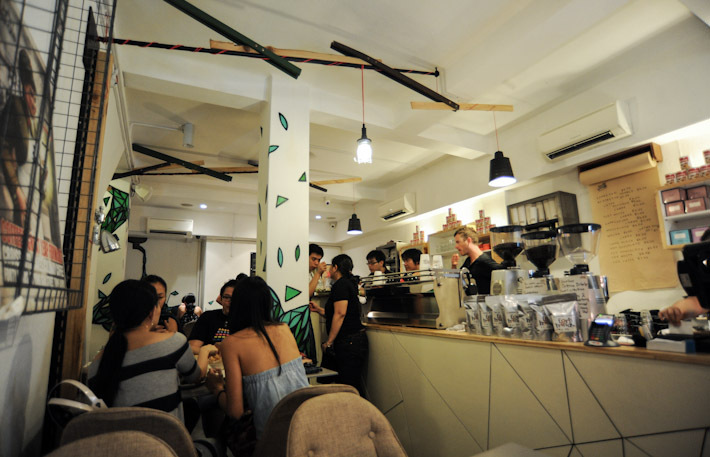 Another cafe with no service charge that you have to check out in the Tiong Bahru enclave of eateries and restaurants is Forty Hands. 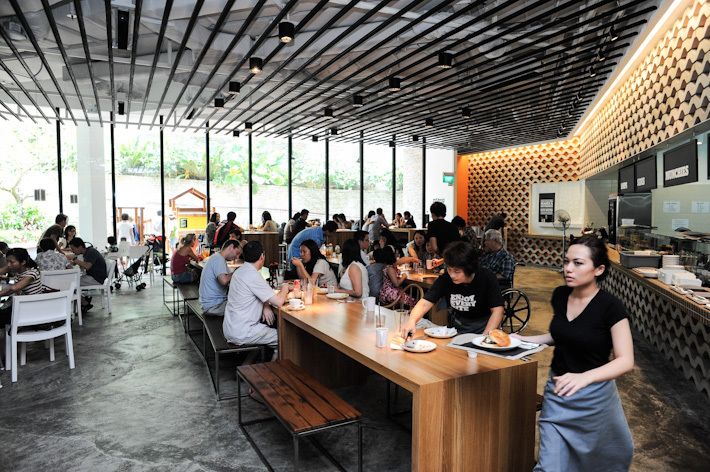 Located within a shophouse, you would often find this cafe crowded and teeming with people. But if you do make it in, some brunch items you can try include the Smashed Avo On Toast and Eggs Benedict. A mad hatter-inspired cafe serving up innovative yet tasty treats, Hatter Street Bakehouse & Cafe is a hidden gem in Kovan that you can drop by for dessert after your meal. 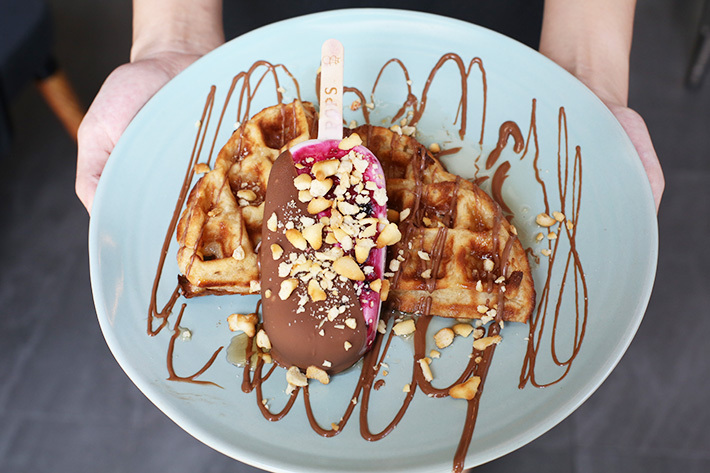 Some items to try include the Paddlepop Cheesecake (S$6.50) and Whoaffles + Single Scoop (S$9). Also, did you know that you do not have to pay for service charge at this cafe? 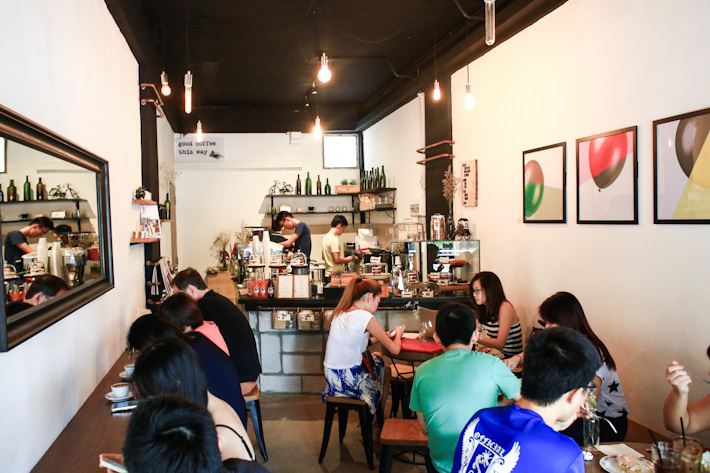 The most recent addition to Craig Road’s bustling neighbourhood of chic cafes and fancy restaurants, Hustle Co is a new cafe that has 12 craft beers on tap. 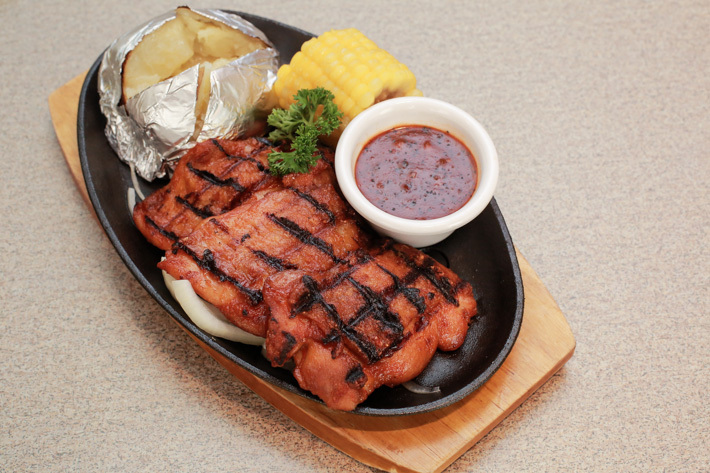 They also serve up comforting cafe fare and hearty dishes such as the Dirty Burger (S$19) and Blueberry Pancakes (S$18). When it comes to their craft beers, we would highly recommend the Flat White Stout (S$9 per half pint) which is a rich dark stout infused with coffee flavours. Delightful food with no service charge? Sounds good to us. Now, this is one eatery that you must know about. Sitting in the bustling neighbourhood of Toa Payoh is an under-the-radar eatery which offers a full menu of Western main course. Krazy Salad Bar is a value-for-money main course + salad bar concept and you can get all of this for under S$20. Free-flow of main courses, salad and desserts; what is there to complain about? And to complete your dining experience, you will not have to pay for service charge here. So Krazy, indeed! Established since 2006, La Petite Cuisine is a French restaurant in Singapore that serves affordable French food made from good quality and fresh produce. A casual restaurant where you do not have to pay for service, this is a good place to gather with your family for a simple, hearty meal. 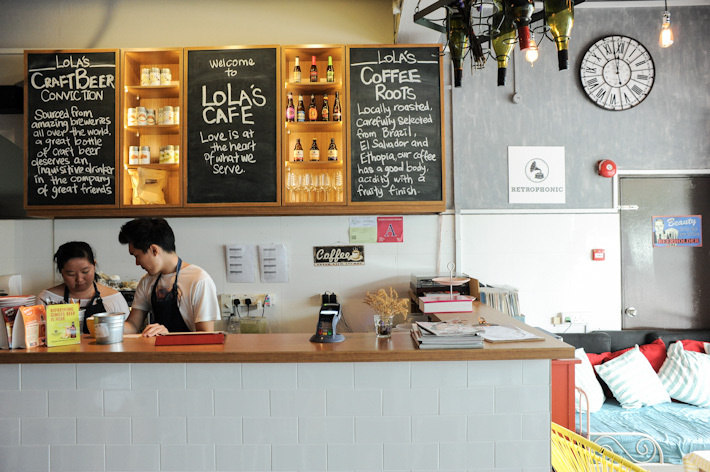 Cosy, inviting and fuss-free are three words that sum up a meal at Lola’s Cafe. 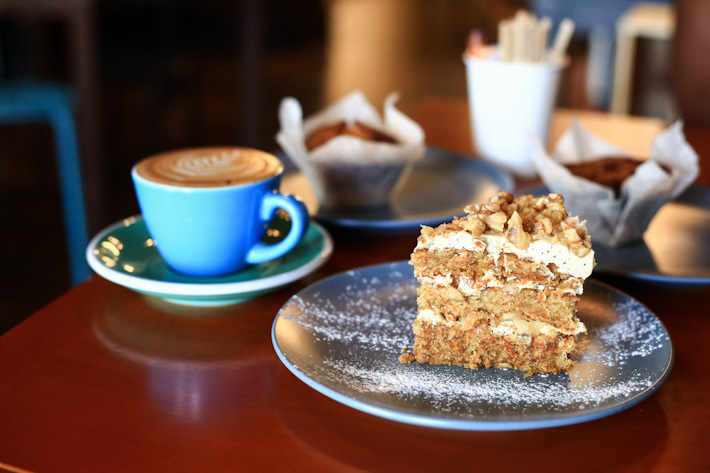 Aside from not having to pay any service charge, Lola’s Cafe is a great hangout spot for coffee and desserts. Now, that is truly the best combination a foodie can ever wish for. Founded on the belief that “Good food should be enjoyed by everyone”, NamNam Noodle Bar serves up honest yet tasty eats at affordable prices. As if that wasn’t enough, you do not have to pay for service charge if you dine at NamNam Noodle Bar. Currently, the restaurant is offering value breakfast set meals available from 8am to 10am on weekdays. 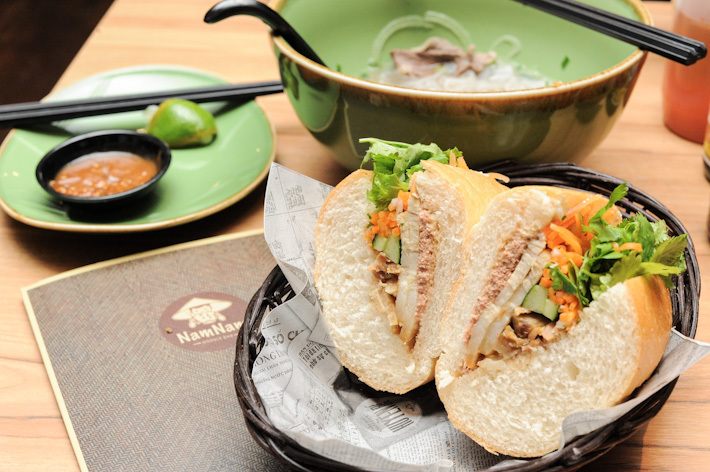 Yes, this means S$5.90 nett for any banh mi or S$6.90 nett for any pho (except the wagyu beef). Your food will also come with a drink. Yes, this eatery is exactly as its name describes – a three-in-one concept which combines a bakery, bistro and bar into one. There is no service charge at this dining establishment which means you can afford to splurge a little more on the base cost of your meal! Some exciting dishes that you should try include the Market Fresh Mussels With A Hint Of Chili (S$25) and the Chili Crab pasta (S$16/S$25). Does pizza for lunch sound good to you? Visit Peperoni Pizzeria’s 6th outlet at Biopolis for a meal without any service charge or GST! Aside from having cheap parking, being a peaceful dining environment and pet-friendly restaurant, lunch sets will cost you a mere S$14.90. For those who stay in the North of Singapore, Percolate is a popular coffee joint that serves up amazing fragrant coffees, pretty and satisfying desserts without charging you a penny for service. A small, unpretentious space for you to enjoy a hot cuppa or two, this is one hidden gem in Bedok that all coffee fanatics need to know. Sitting on the sixth floor of JEM is Poppy Pops, a popsicle cafe so secret that you probably would not chance about during a regular visit to JEM. But there is so much to love about Poppy Pops and it would be a waste if you did not take the time to drop by the cafe at least once in your life. Yes, you get what you came for. 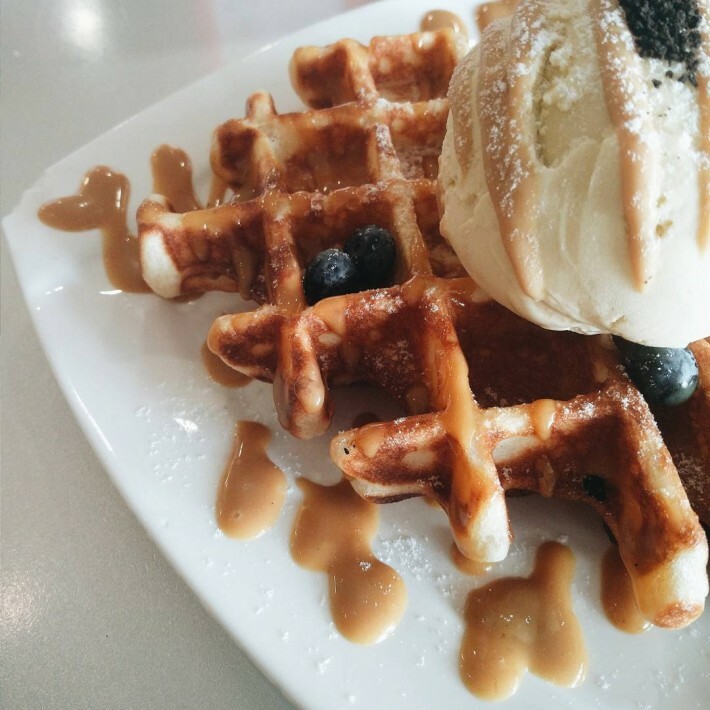 Freshly-made popsicles and waffles accompanied by a pleasant view of the Jurong town landscape. And guess what, you do not have to pay for service charge here too! Specialising in meatless food that is good for the body, Real Food at South Beach Avenue is a good place to turn to for a meal, especially when you wish to cleanse your body of the junk and harmful chemicals that you have put into it. Some delights you can try include the Soy Curry Soup Noodles (S$12.80) and Baked Stuff Portobello Mushroom with Soy Cheese (S$11.80). And here is another incentive to begin your detox at Real Food—there is no service charge here! Brunch with no service charge? The sound of that will surely put a smile on your face. 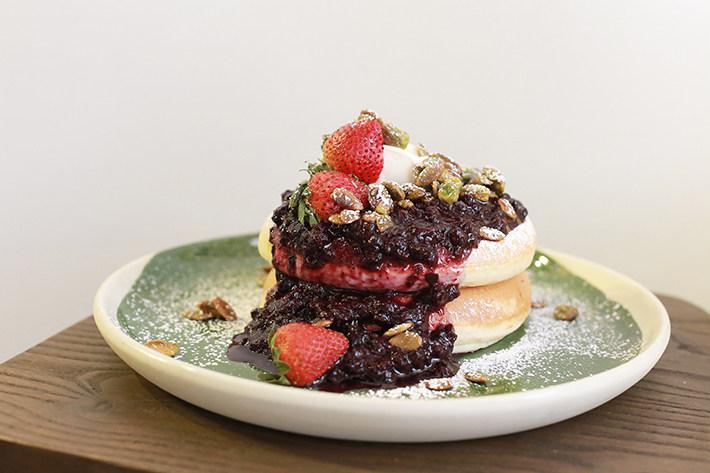 At Ronin, indulge yourself in their rich and mouthwatering spread of brunch delights that include the Bircher Muesli (S$12) or even a Dirty Ronin (S$15). Then, pair it with a hot Genovese Coffee or their Signature Mocha and you would be set for the day. Do note that payment at Ronin is only by cash or NETS. The latest addition to Sunset Way’s cluster of F&B outlets is Summer Hill, a casual French dining bistro that took over the premises of The Tiny Roaster. 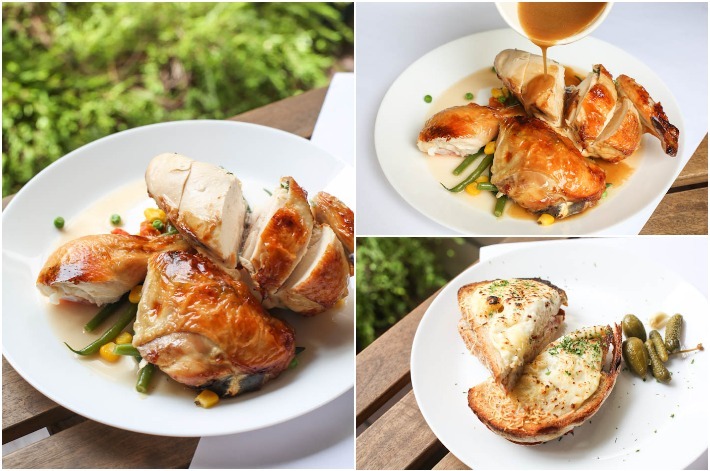 Helmed by Chefs Anthony Yeoh and Christopher Soh who used to work for the now-defunct Cocotte at Wanderlust Hotel, you can expect a straightforward menu that focuses on home-style dishes and comforting recipes when you are dining there. Special items and sides are on a weekly rotational basis to keep things exciting so you always have an excuse to go back for more. When most think of comfort food, they would be inclined to think of desserts but really, what you need is a good ol’ thick, juicy slab of steak. 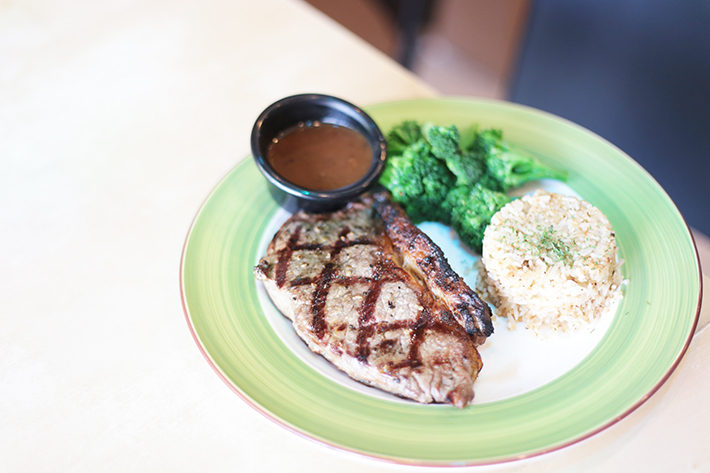 Founded in 2011, Steakout is a humble grill and bar which serves up steak from Australia and New Zealand. Their steaks are also chilled and not frozen so as to preserve the freshness of the beef for their diners. Steakout also does charge GST or service charge. 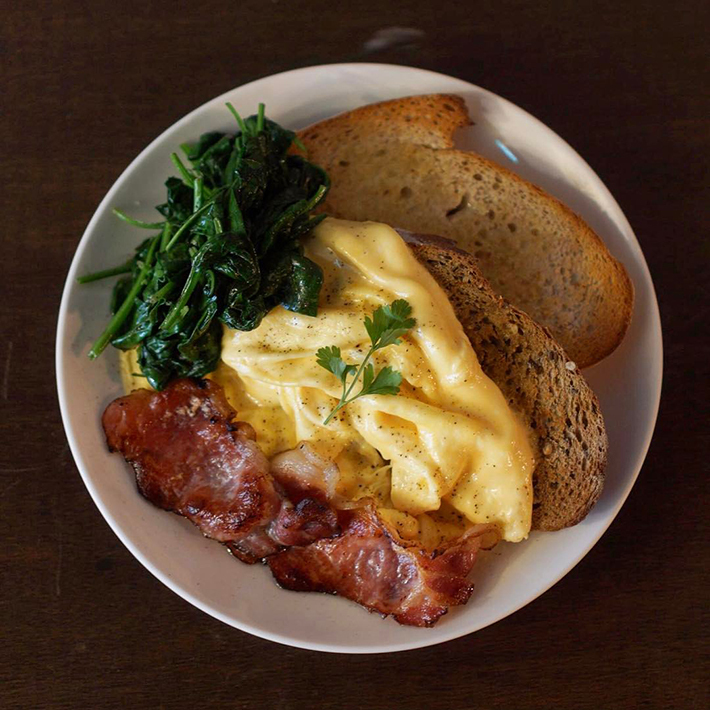 The Living Cafe is a cafe located along Bukit Timah Road that prides itself in offering healthy yet tasty food that is chock full of health benefits. 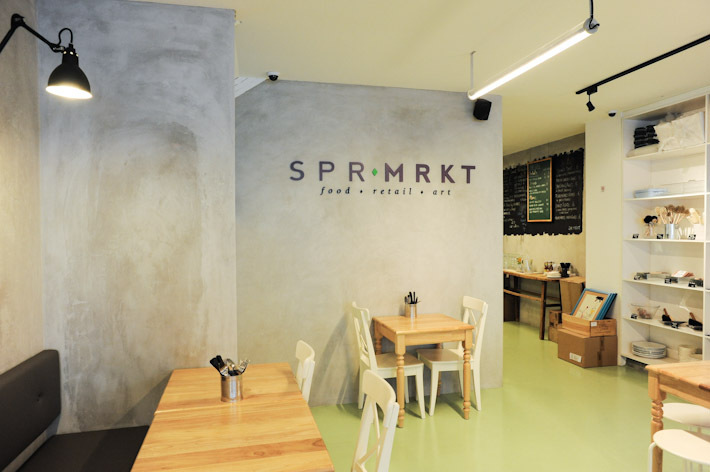 Their menu features a variety of fresh produce which includes soup, pasta, pizza and desserts; but all absent of preservatives, white sugar, cow dairy, red meat and artificial colourings. You will not have to pay for service charge at The Living Cafe. If you love Japanese yakitori and craft beer, then Toriki is a joint you should definitely check out. Situated on the 4th level of JCube, overlooking Singapore’s only Olympic ice rink, diners can look forward to authentic Japanese eats like assorted donburi and classic old school yakitori grilled over a special binchotan charcoal. 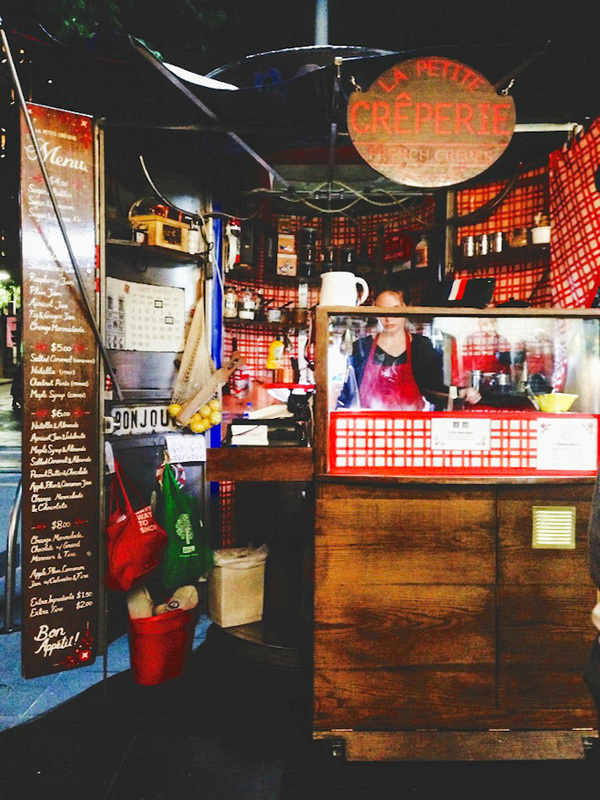 If there is a themed cafe at a unique location, you know well that it would be a big hit with Singaporeans who are avid cafe-hoppers. 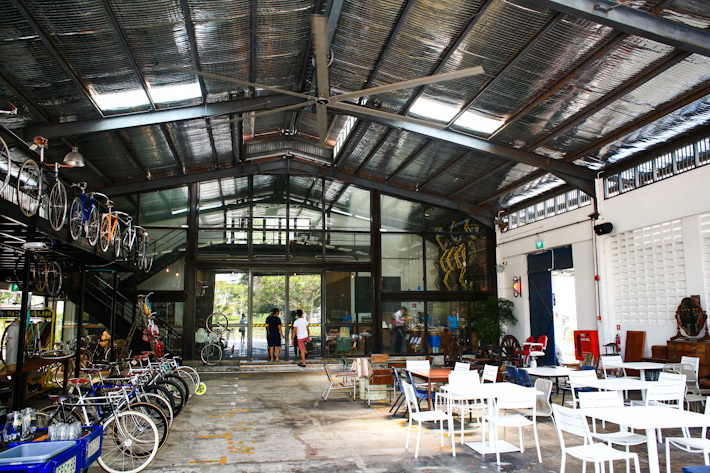 A bicycle cafe nestled within an industrial warehouse in the Balestier area, Wheeler’s Yard is predominantly known for being a cafe filled with endless #OOTD spots, especially at their signature blue door! Aside from the amazing decor, Wheeler’s Yard also serves up a mean breakfast, brunch and burgers and you do not have to pay for service charge. Yipee! 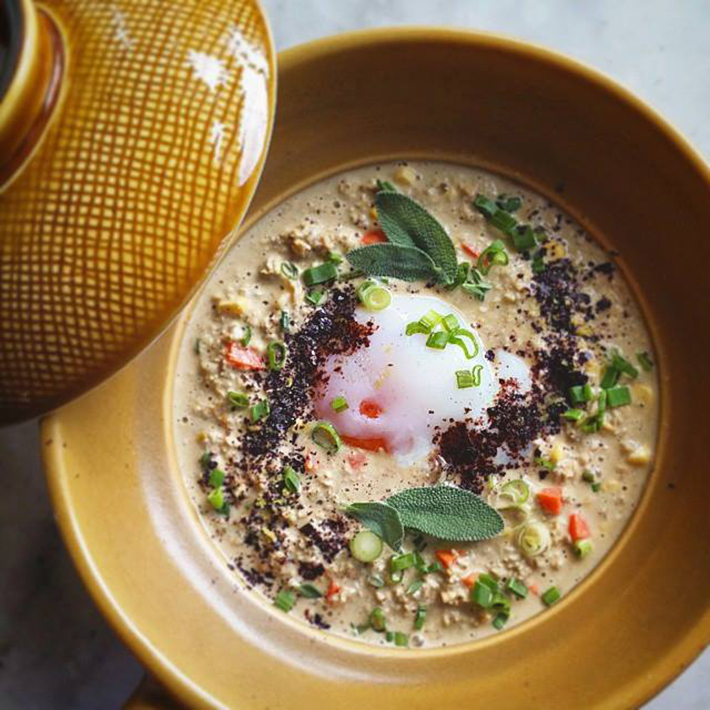 Read: 27 Affordable Romantic Restaurants For Your Next Date.